We're back, and we survived! 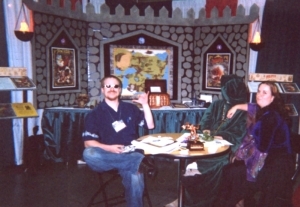 Our first GenCon, and on the 30th Anniversary of D&D! We enjoyed some nice success in our two main gamelines, Fantasia and Pirates and the overwhelming interest in alternatives to d20 (which all our games provide). 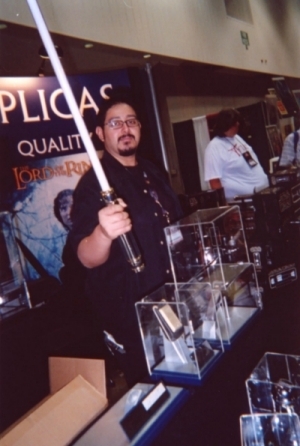 After last year's GAMA, we had a lull, but now things are moving faster, and so we would like to thank all of those who have helped push these products throughout the past years, as well as those who took the time to visit our booth and show their support. 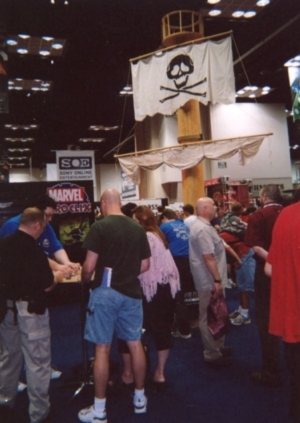 Now, here are the obligatory pictures of what we thought was pretty cool at GenCon 2004. 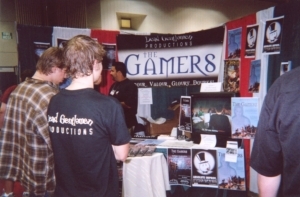 Our friends the Dead Gentlemen, whom we will be working with for "Dorkness Rising: The Gamers Second Edition". Nice to see some of the big companies getting around to the genre we have been pushing for years. 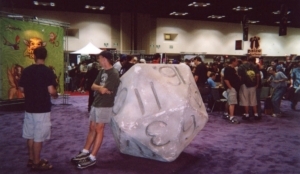 The biggest D20 in the world, smack in the middle of Wizards of the Coast. They light up, they have proper sound effects, now if only they make 'em to cut through blast doors . . . This thing was scary, both in its size and to how much attention it got, but it was cool nonetheless. 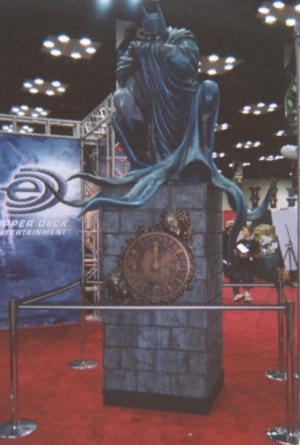 A life-size (maybe even larger) statue of the Dark Knight, which was our favorite prop at the entire 'Con. 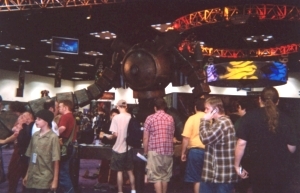 And of course there's us in our little corner of the convention. Cheers! 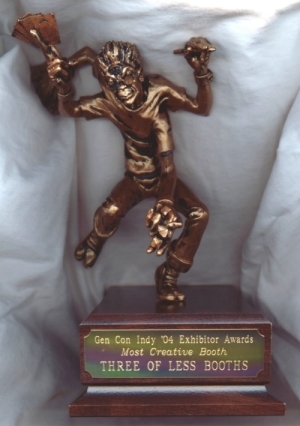 Our award for having the most creative booth (of three or less slots in size).